With nothing caught there's been nothing to write about. I tried for the roach again and failed miserably on a warm and sunny afternoon and evening session. I was on the verge of packing up early when a roach actually rolled over my bait tempting me stop on until it was cold and going dark. I did spot some carp though, which looked like they'd be easy to catch. 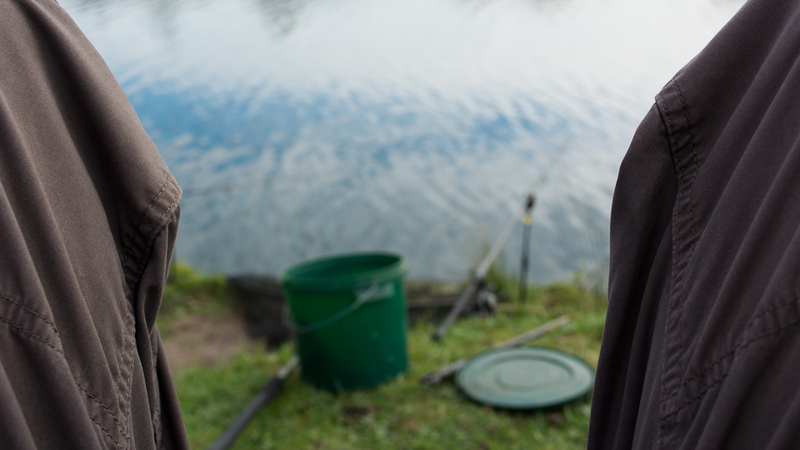 Of course, when I returned a couple of days later they had done a disappearing act, but hoping that pretending to fish for carp I might catch a tench I gave it a go. And failed miserably on all counts. One more blank and it would be three strikes and out. I had an early tea and timed my getaway to coincide with the lunch break so as to miss none of the cricket. 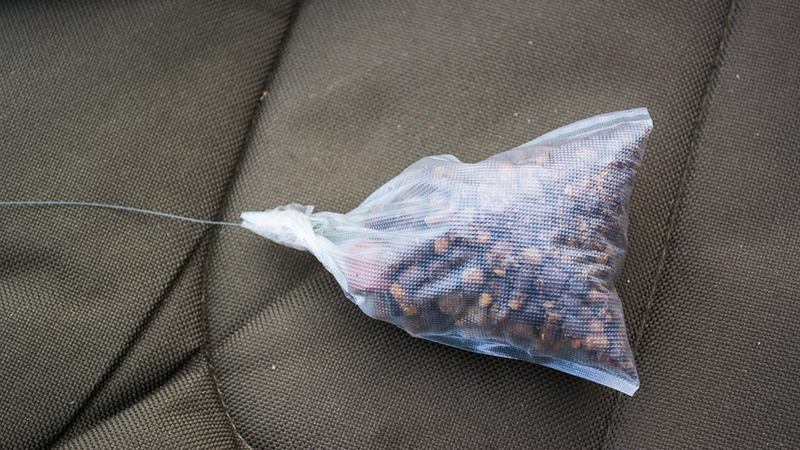 There were two grains of popped up fake corn over a sprinkling of pellets in the margin, and a 12mm Pellet-O in a bag of pellets on a long chuck by five thirty. Just in time for the start of the afternoon session at the test. 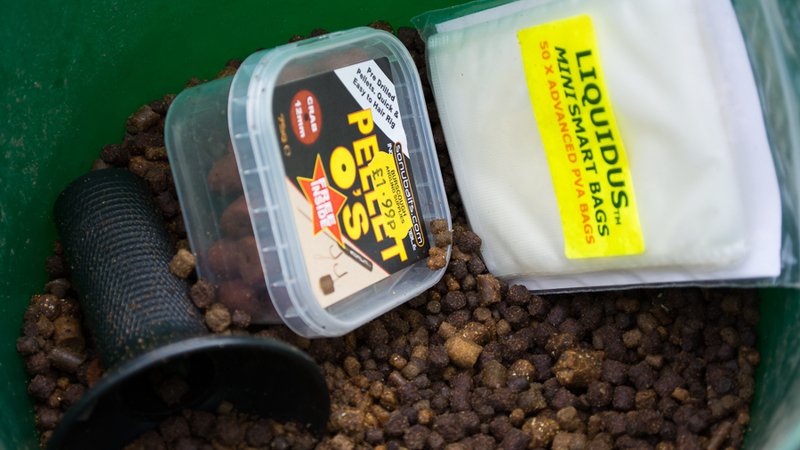 I picked up the new Sonubaits catalogue/magazine the other day and it looks like the 12mm Pellet-Os have been dropped. Bloody typical. Although the air temperature was a reasonable 12 the wind had a hint of north in it. Despite picking a swim that wasn't facing into the wind I was still getting chilled by it. I should have wrapped up warmer. The birds were unphased and a blackbird and a chaffinch were taking turns singing for one particular high hawthorn branch. I heard the inevitable chiffchaff and saw a number of groups of swallows passing over heading north. Great crested grebes were behaving in a way I've not witnessed before. Bow waving at speed like fast moving carp. They were also chasing each other about. I think one pair was nest building and another bird was intruding. With the first blackthorn blossoms starting to show I was hoping the tench would too. These days I'm a far more impatient angler than I used to be. If nothing has happened after half an hour I start to get twitchy. After an hour's inactivity I start to get bored. I reckon that's why I am far more mobile in my pike fishing these days than I used to be.But the plan was to leave both baits out until they got picked up. It was just gone seven when I saw the left hand, distance, bobbin drop back an inch then rise again. I was by the rod as the bobbin dropped like as stone and lifted into something that took a bit of line against the clutch. The damned clutch was too slack! After a couple of thumps whatever it was came in easily just like that tench the other week. This fish didn't wake up when it saw the net. 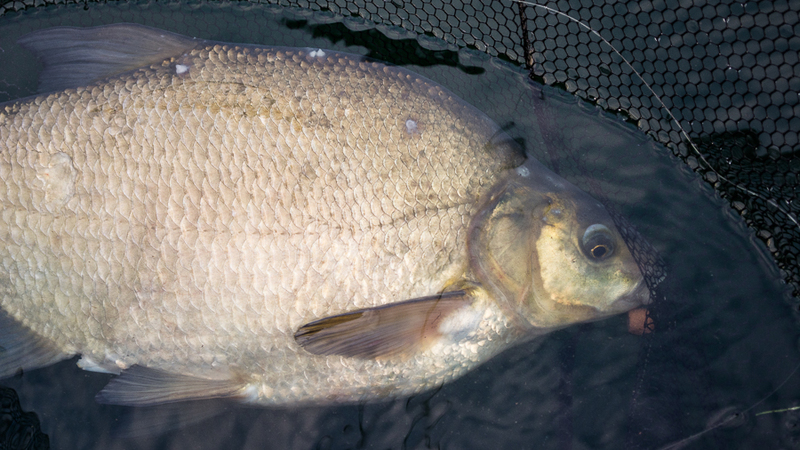 Bream rarely do. Still, it was a start and I wasn't quite so bored. It was half-eight when the bobbin on the margin rod lifted as the line tightened, dropped back, lifted and held, then sort of jiggled. Something had hooked itself. In the fading light it looked like a bream half the size of the first fish. 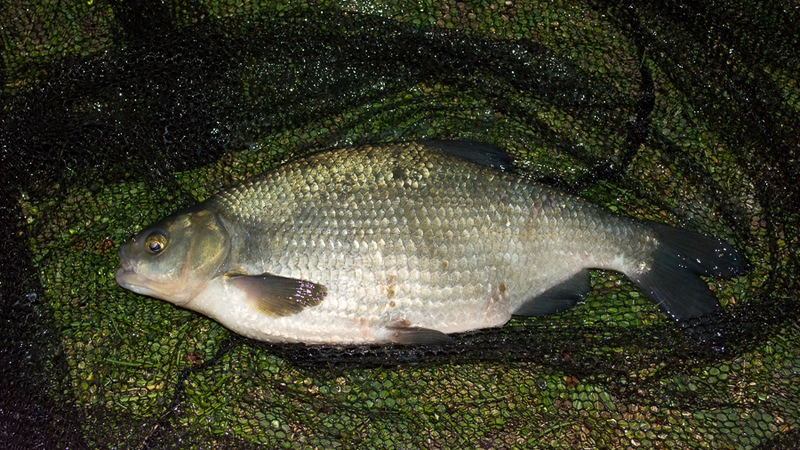 In the net it looked more like a roach/bream hybrid. It was a plumpster whatever it was. I cleaned the weed off the plastic baits and swung the rig back out for the last half hour. By nine I had had enough. Thoughts of tench were starting to buzz in my head. Even a cunning plan was starting to form. Trouble is there might be another eely distraction on the horizon. What I need to do is get organised.